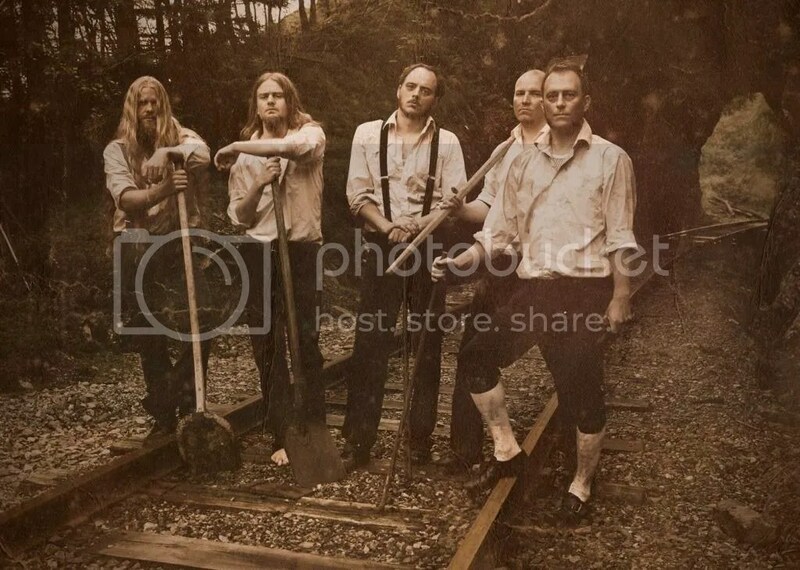 Although still busy adding the final touches on their third studio album, VULTURE INDUSTRIES are set to premiere a new song from the album during their performance at the Inferno Festival Club Night which is scheduled to take place on the 27th of March at the Blå venue. The song in question is entitled “The Hound”, and, clocking in at just below 10 minutes, this is the bands longest composition to date. The Norwegian Metallers upcoming album is scheduled for release this autumn on Season Of Mist. The new album is being recorded at the Conclave & Earshot Studios in Bergen and is produced by the band’s vocalist Bjørnar E. Nilsen together with Herbrand Larsen (ENSLAVED) who also handles the mixing this time. Mastering will be by Jens Bogren (DEVIN TOWNSEND, WITCHCRAFT, ENSLAVED, KATATONIA) at Fascination Street. Below you can see video footage by Kogaionon Magazine of VULTURE INDUSTRIES performing “Hangman’s Hatch” and “A Path of Infamy” live at the Silver Church Club in Bucharest in October 2010.